This is a lovely bowl by the French company Daum Nancy. 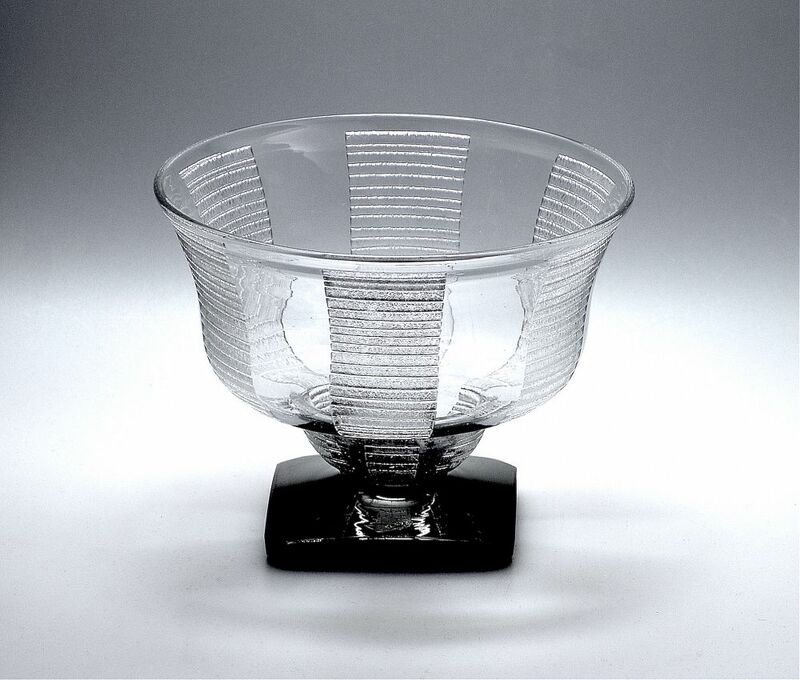 Made during the Art Deco period, it has a slightly domed black square loped corner footed bowl supporting a clear two tiered wide fluted bowl with acid etched geometric decorations. One side of the foot is signed "Daum Nancy France" and has the Cross of Lorraine symbol.